Salt, Fresh or Fly… You are going to love this! 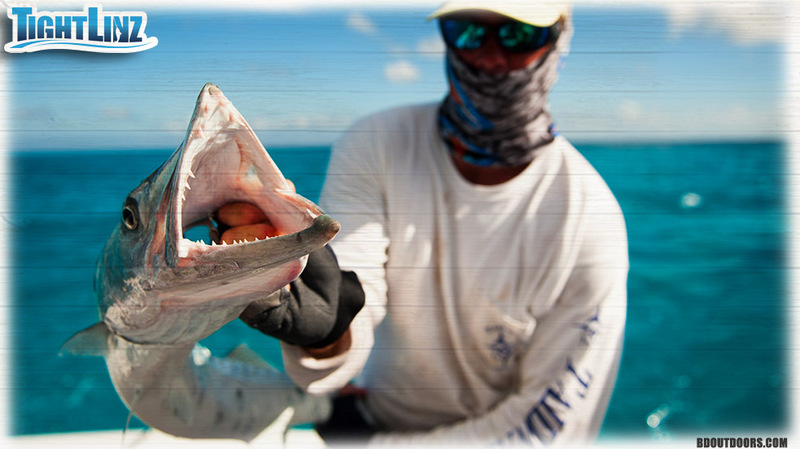 No matter where you do most of your fishing â€” inshore, offshore, fresh water or salt â€” the website www.tightlinz.com offers discounts up to 80 percent off for all your fishing gear, apparel and accessories. Special thanks to photographer Sam Root (www.saltyshores.com) for these great images. 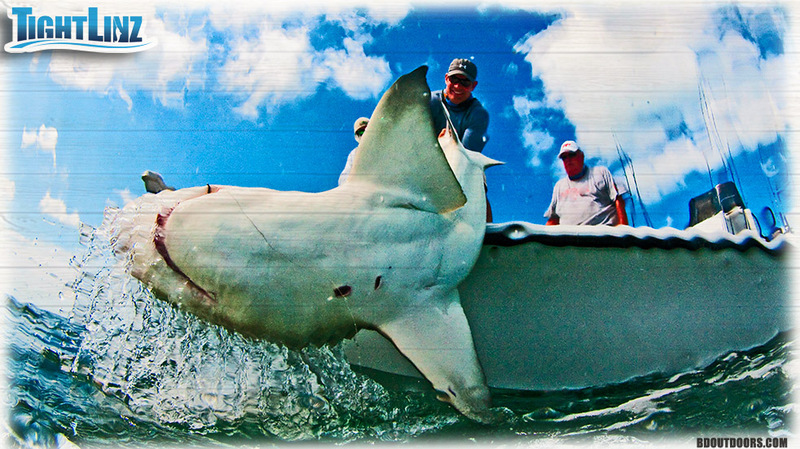 When fishing for large sharks, you need quality terminal tackle. You don’t want that swivel or hook to snap. Especially when you are the guy in the water taking the photo. Few lures can hold a candle to live bait. But even when you fish with live bait you’re going to need good gear to keep you tight to the fish. Whether you throw pancakes or bananas you can find it at www.tightlinz.com. You always want to look good when you’re out on the water! Don’t skimp on your clothing and sunglasses. At www.tightlinz.com they realize that fishing is as much a lifestyle as it is a sport. It’s the in-between moments that count just as much. They celebrate the ocean and donate a portion of each sale to the Recreational Boating and Fishing Foundation. Don’t let the weatherman get you down. Purchase some quality raingear and make the most of your time on the water. Now get on it. Big fish, small fish, redfish, bluefishâ€¦ Cuda! 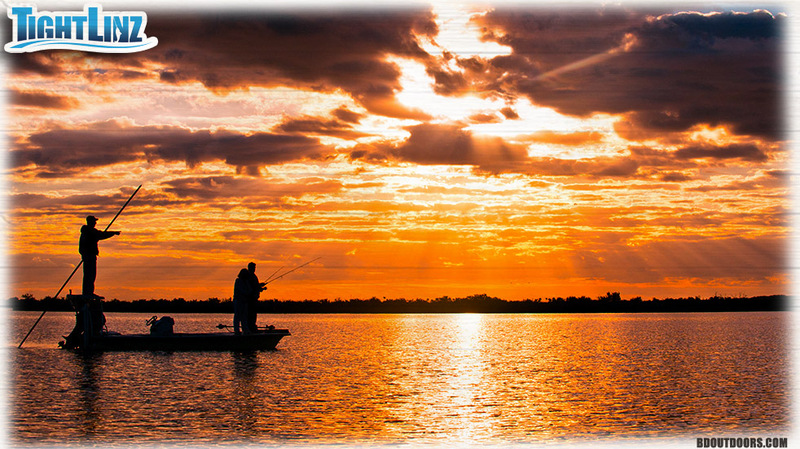 Start the day watching the sun come up, fish every waking hour, and enjoy the close of the day as the sun dips back under the horizon. That’s fishing’s greatest pleasure. Good deals just make it better. 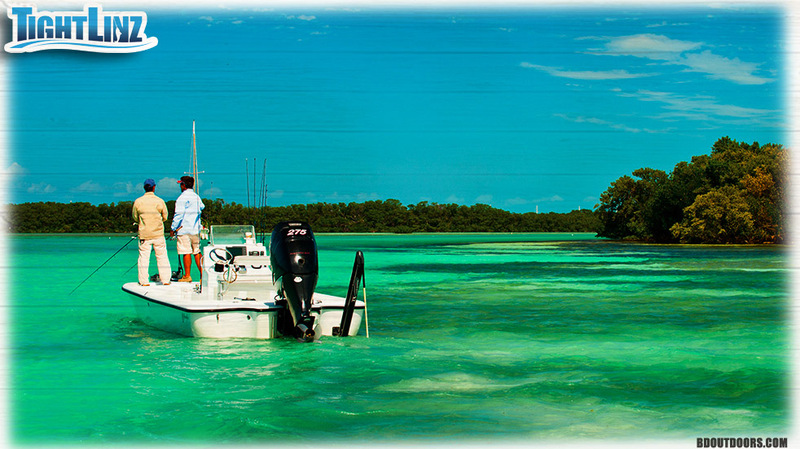 You don’t want your boat or engine to let you down, and you don’t want your tackle to let you down. That’s why it pays to purchase quality gear from the trusted brands at www.tightlinz.com. Who says fishing is just for the boys? Get your lady her own rod and reel and take her out fishing. Girls love to shop and fish. So make sure to invite all of your lady friends to www.tightlinz.com. Every time you invite a friend to join TightLinz and they make their first purchase, you get a $10 credit. A perfect ending to a perfect day. Snap a photo of your trophy, and if you’re not in need of the fillets, release that catch to live another day. 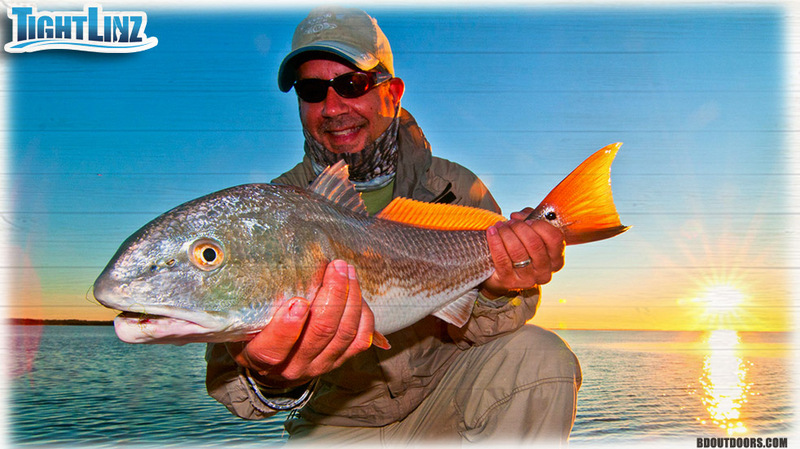 Make sure to sign up with www.tightlinz.com to receive information about upcoming sales on fishing tackle and apparel. 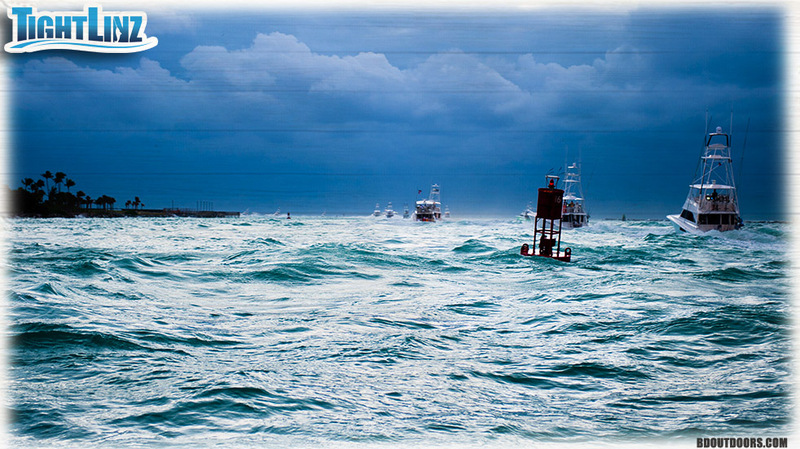 Special thanks to photographer Sam Root (www.saltyshores.com) for these great images.